I keep thinking about single casks in general at the moment. Or rather, why many people prefer single cask whiskies quite often over single malt whisky, even if it’s from the same distillery. Single casks (technically still a single malt) are not as complex – in theory – as the a single malt. A single malt typically is a blend from a single distillery that draws upon numerous different casks and therefore a greater number of flavour components. That means more flavours to marry together. More complexity. Single casks are not even a great indicator of a distillery’s style – as anything can happen in an individual cask to derail it from the norm. But I think that’s why people like single casks so much. Single casks are outliers. They’re different. Single random events. In a world where cultures are being homogenised at a rapid pace, and any little quirks are being ironed out of people so that we’re all essentially the same blissfully accepting drone, it’s rare to celebrate quirks and individuality quite so much as whisky drinkers do with single casks. 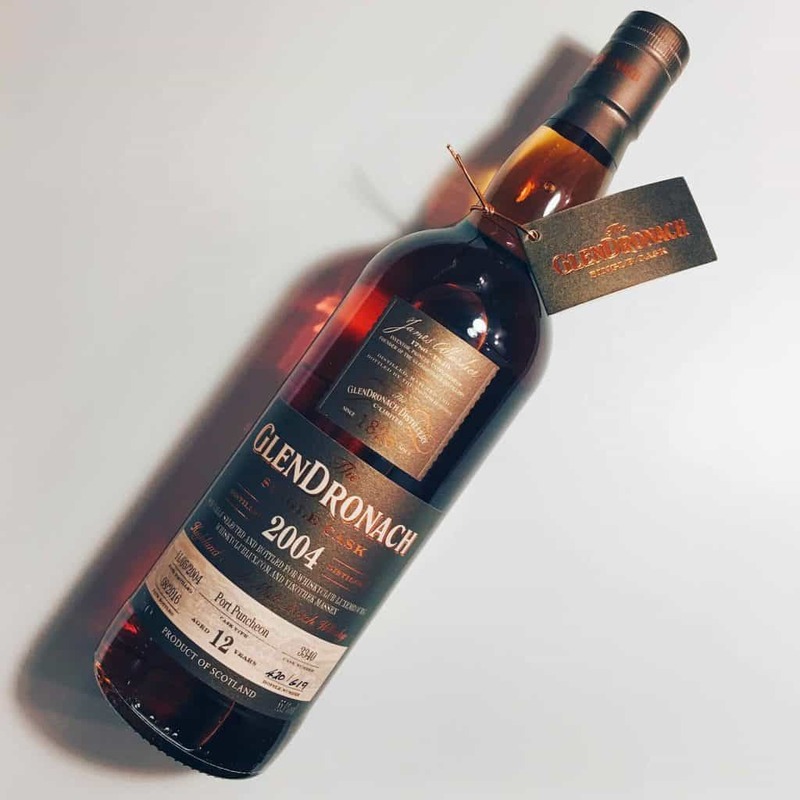 That brings me to a rather crazy GlenDronach single cask – a 12 Year Old Port Puncheon. 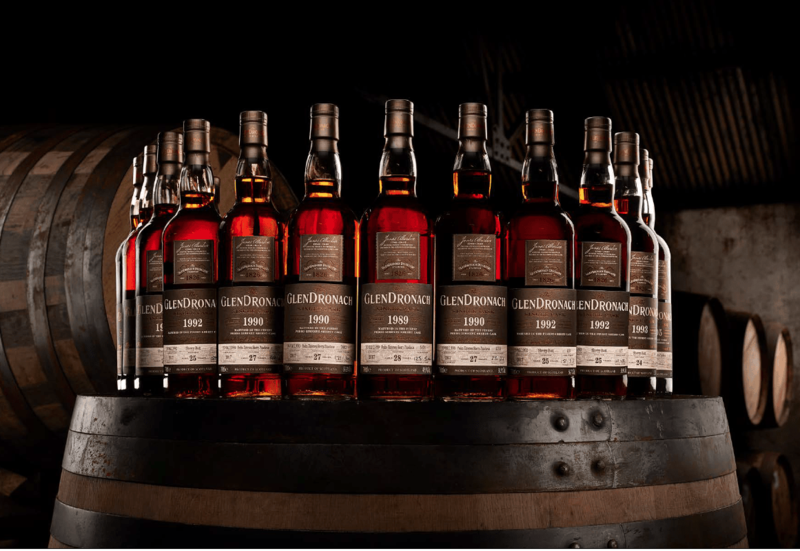 You don’t often see GlenDronach single casks that have lived entirely in Port wood. 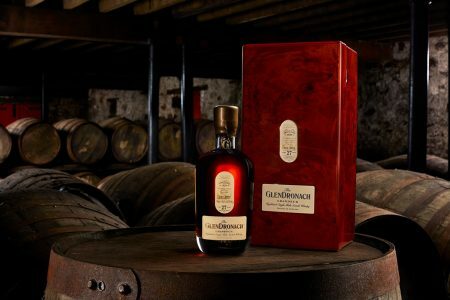 I enjoyed the GlenDronach 18 Year Old Tawny Port Finish a couple of years ago, but that was (a) a single malt rather than a single cask, and (b) a finish and not something entirely matured in an ex-Port cask. This Port Puncheon was bottled exclusively for three venues: Whisky Club Luxembourge, Whisky Club.Com and Vinothek Massen. My curiosity got the better of me, so I picked this up at auction for around £70 all in all. Worth the punt? Colour: mahogany, henna with a slightly pink hue. On the nose: huge grab-bag of autumnal fruits. Blackberries, raspberries, redcurrants, blackcurrants. Fresh bread and pastry. Raisins, sultanas, maple syrup. Tiramisu. Basically it’s a mince pie in a glass. Becomes exceptionally jam-like towards the end, and once the fruit fades – which it never really does completely – there’s some balsamic vinegar. In the mouth: a massive fruitgasm of a whisky. Cherries at the start, which immediately brings to mind some good bourbon whiskies, especially with that slight vein of menthol running through. Raspberry jam, and the bitterness of blackcurrants. Plum sauce. Muscovado sugar. Madeira cake. Port. Traces of Sauternes in there too. But think GlenDronach bourbon, and this is mostly what comes to mind. 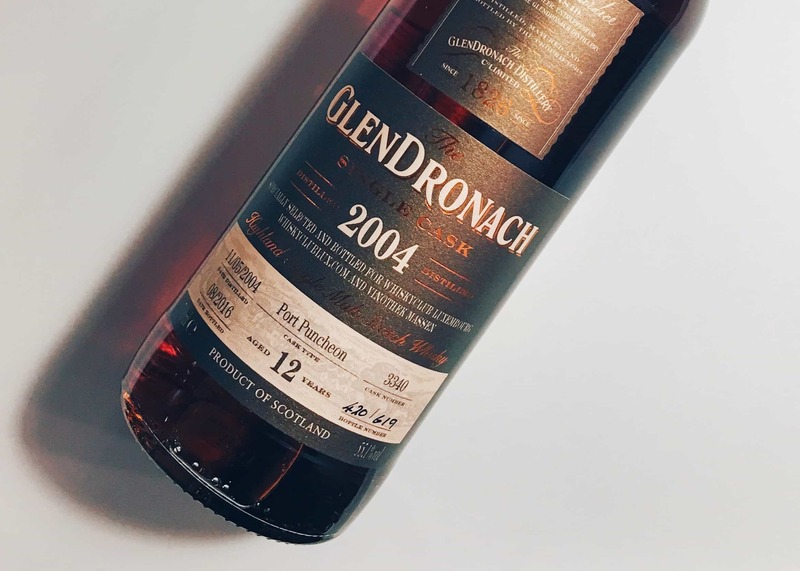 The oily denseness of the GlenDronach spirit works splendidly with the Port Puncheon. Utterly unbalanced, but it fully embraces what it is. You want a single cask to be a deviant – to deviate from the norm. And Christ almighty, this is one hell of a deviant GlenDronach. Epic whisky, which mostly works, and is one that constantly needs revisiting. If you’re a fan of the distillery, add this to your collection pronto. It’ll raise a few eyebrows among friends. Great review – weirdly I’d been thinking about single casks a lot too at the minute (as I blast through a load of old SMWS samples to make room…) and agree that they are nowhere near as complex – the singularity is interesting tho, the inherent limited edition nature that does not always seem to break the bank (vs. ‘limited’ editions of 50k bottles of single malt, for example). 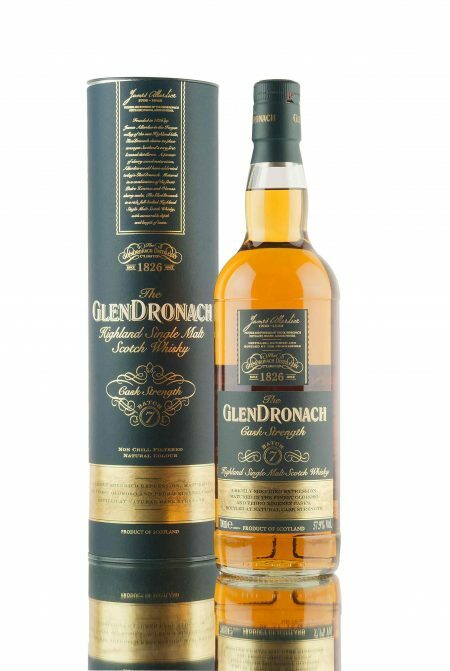 I find that single malts typically work a lot better for me, cask strength being the preference to be able to try two ways (with and without water) – but the ‘outliers’ as you say are always interesting for a comparison and purity / unadulterated version of what the distillery produces kind of way. Yes, the not breaking the bank part is interesting too. It feels as if the single casks – mainly through indies – are a lot cheaper. Maybe that’s because for the most part they’re indie releases? I`m a true outlier addict. I like the extremes and will usually choose a single cask of a single malt even if th single malt is more belanced and refined. If i ask a lady to dance i want her to freestyle and bedazzle me. Though sometimes i just want a lovely elegant dance then I`ll extend my hand to a single malt and ask if she`s available. That’s the spirit, Laryx! Though you might be able to find this bottle still at online auction – I bought two bottles over two months, so I’m sure it will pop up again at some point. I`ve sent the whisky club luxembourg a mail. If they still have some I`ll join and i know someone who should be able to pick them up in luxembourg in the near future. I`ve never used auctions. are there any sites u can recommend? I’d recommend Scotch Whisky Auction and Just Whisky Auctions to start with. They’re the two I use most often. I managed to get them.